I saw this quote over Christmas and the words really struck a chord with me as it is one of the main reasons that I started this blog. I work in a single form entry school without a Nursery and as the only Early Years teacher in the school it is very easy to start to feel isolated and lonely. Having previously worked in a 3, and when we had a bulge class, 4 form entry school, I knew the benefits of working in a team and bouncing ideas off one another. When a friend told me she was starting a moderation group with another school I was quick to latch on and it was one of the best things I did last year. Not only was it an opportunity to moderate our profile scores, but it also gave us a chance air our grievances and have a good nosey around each other’s settings. Always with my iPad to hand, I documented these visits taking pictures of things I could replicate and try to persuade my Caretaker to make back in my setting. It was also useful to be able to show my Teaching Assistants these photos during team meetings and to inspire the Head Teacher with improvements that could be made. I was inspired to create my own paint making and colour mixing area in my classroom using sugar shakers and pipettes. It has been messy, yes, but a huge hit with the children. My wonderful Caretaker was able to replicate this two-tier tuff spot holder using cheap cuts of wood. Doesn’t it look fabulous? It is also great to put out next to the water tray. Again, having seen a similar display during a school visit, I created my own selfie display using neutral hessian as the display backdrop. The children did self portraits on white paper using black pens and we put up black and white photographs of the children beside their pictures. Social media is such a powerful tool. My practice has been hugely influenced and I’ve been so inspired by other teachers on Facebook. Stimulating Learning with Rachel and Early Years Ideas with Tishylishy are two of my particular favourites. Pinterest is a also a very valuable resource – a place where you can collate all of the ideas you’ve been inspired by online. I also recently heard of a school who allow their staff to record their professional development portfolios in the form of a pinterest board. What a great idea! 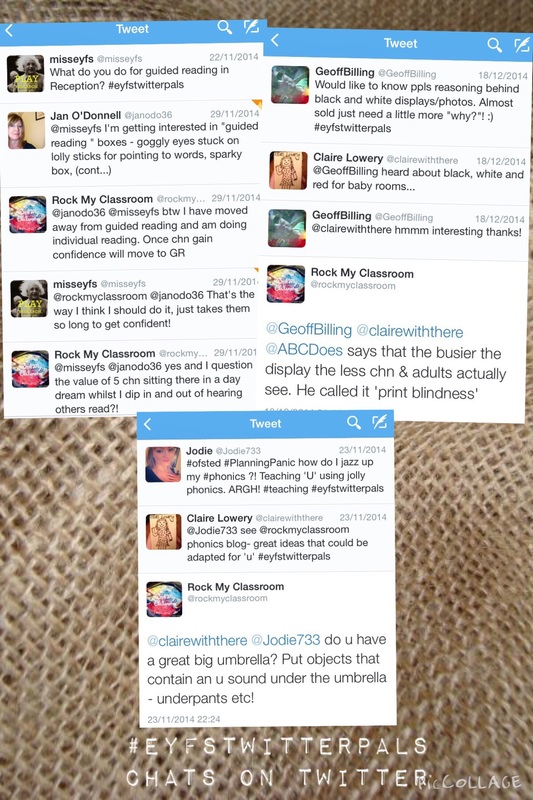 I’ve also gathered some super ideas for guided reading, displays and lesson planning via discussions over on Twitter…. 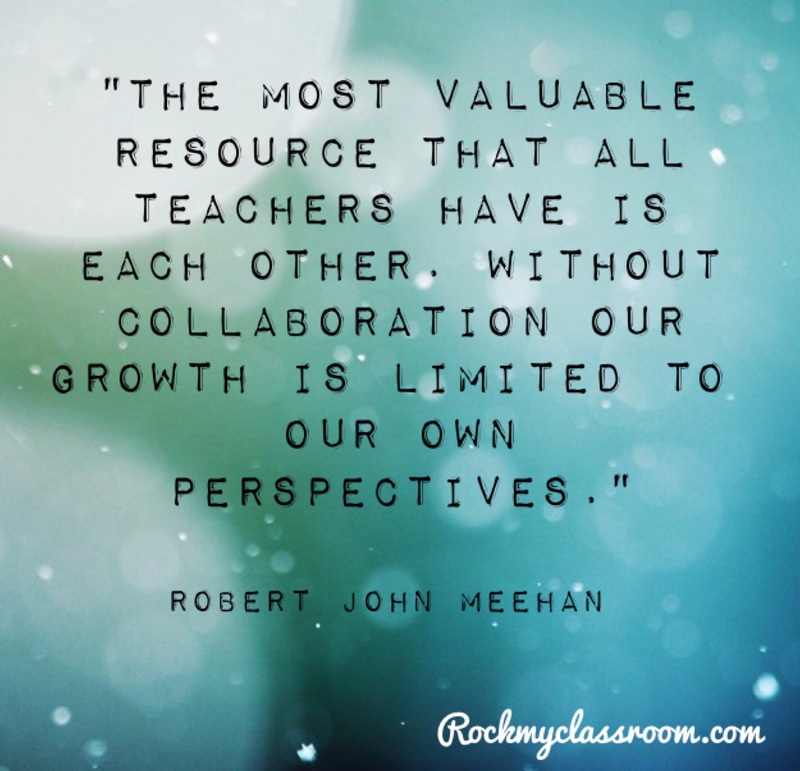 It is so important to get out of your classroom to see others practice, whether that is in an online sense, or by physically going to visit other schools. It can reaffirm what you are doing in your setting and can open your mind to other ideas and approaches. Get out there and be a magpie!